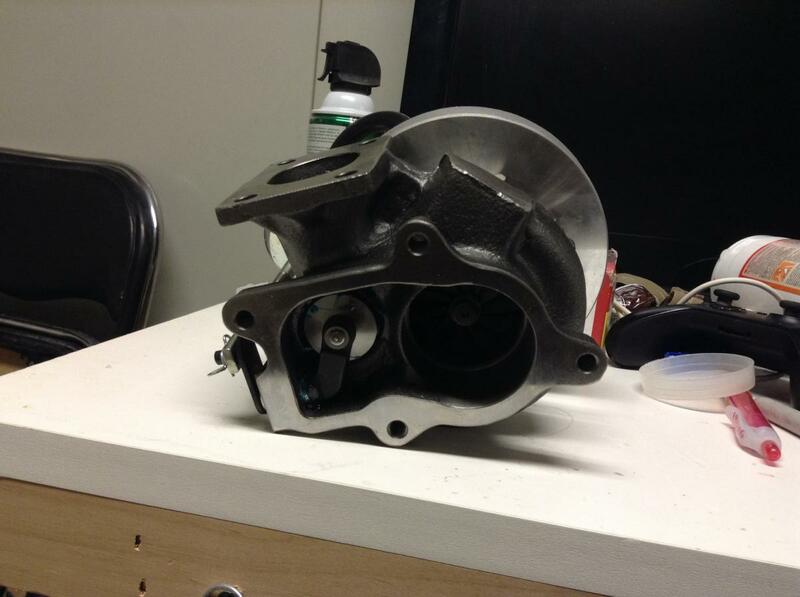 Yes any manifold works on any of our Ecotec engines. Well last year I was on brand new all seasons and we had a ton of snow, they were 225/45/17 and I'm selling those and getting actual snow tires, thinking 205/50/17 this time. It was great on 195/65/15's that were also brand new but that wasn't lowered, so it really depends on tires, and I really should take off the swaybar since it's down so low. On the plus side since my charge pipes are under the engine they'll stay colder. Ask about any turbo info, I'm a 2.2 turbo but my 09 is a LAP, stupid SAI is causing an exhaust leak since they integrated it into the head after 08 so you're good there. So rather than spend any money on this engine I'm getting a LE5, hopefully as soon as next week then I'll be heading to PRS to swap it out on a weekend. Yours a F23 car? If your asking if your engine is the LSJ, no it's a L61. Biggest thing with that turbo is how it'll mount, also is the exhaust v band or some weird bolt pattern, you'll probably have to make a custom DP. Hopefully yours will be easier than mine. Very old picture but all I could find. Last edited by andrewcarr1993; 09-11-2014 at 11:01 PM. Did you say you have something for the exhaust side to connect it like normal? But after the manifold you have that weird thing to the DP, have an adapter for that too? Would I have to change anything on the intake side like the manifold or throttle body? Both are up to you they both can hold up and the TB really won't be a restriction as it can be NA. 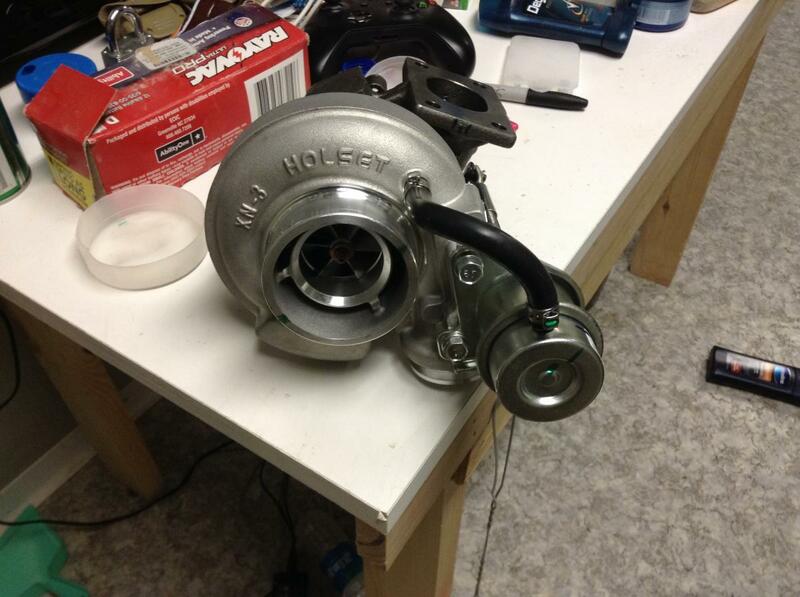 Trying to piece a kit together for my 2.2 I have a holset turbo he221 will that do me any good It was given to me and it's brand new still in the box I researched it and it's a diesel turbo idk if that matters will it be ok on my cobalt? No buy a diesel truck instead. Will be much better to mod. Not really into the whole truck thing. If you can find the setup, the 2.4TB and 2.4IM are **** on boost. 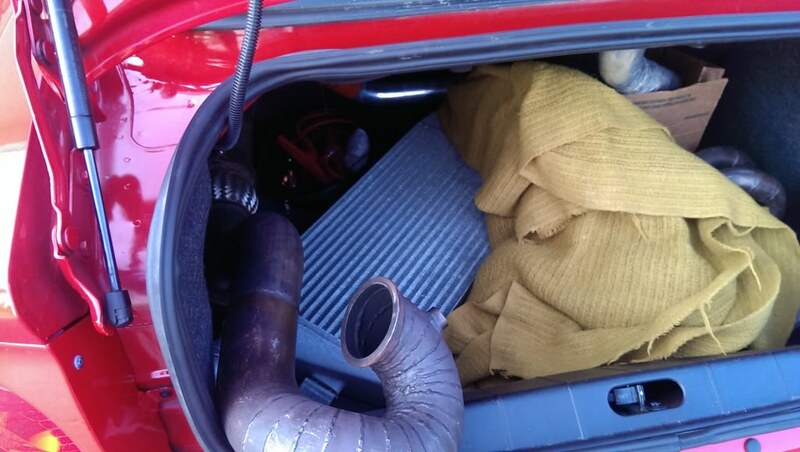 who has sucessfully supercharged a stock 2.206 ls cobalt ??? I see tones of information here and there but i want to know have you done it what did you use and how has the car ran snice.. I see people on here arguing all day that turbos are better then superchargers and vice versa. All i want is to get to the 250 ish HP range cause i dont want to rip the stock motor apart Im in Maryland and when you call the guys around here they say jsut buy a faster car. thats not the point...... i have this 06 cobalt that i dont have any payments on its a stick so the girl has no intention of driving it i wanna puut some pep in her step. 06 cobalt is a bust unless you tune through Trifecta and they have had a bad record of shipping out late tunes. You can boost the 06 but I can tell you from personal experience the Trifecta Tuning solution leaves much to be desired. 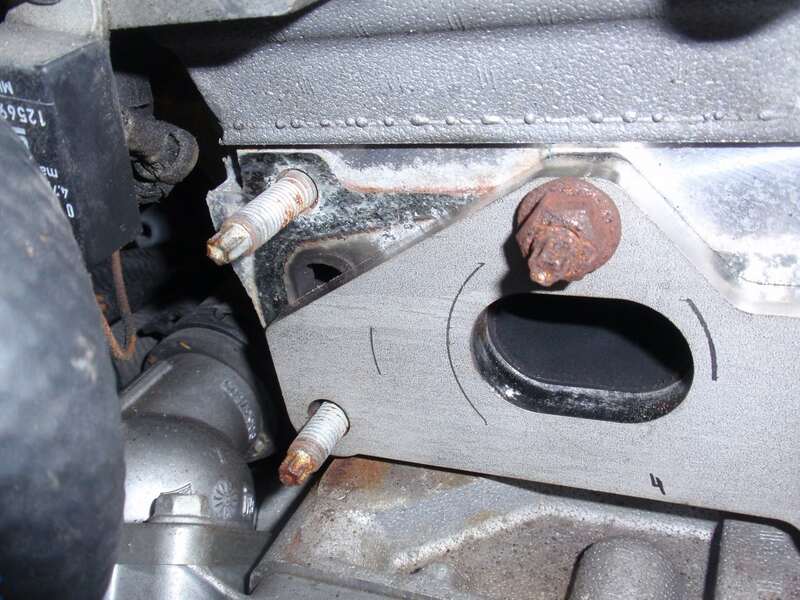 Oil feed: Feed from one of the three oil plugs below the exhaust port. M12x1.75 thread. Oil return with the drilled hole to the oilpan. Water feed: A) From the drain bolt from the waterpump. What thread size is this?? Anyone? Don't want to tab a new thread if not needed. B) Put a T into the 3/4 coolantline. Water return: T into the reservoir returnline or drill/tap a return into the thermostat housing. Can you guys confirm or correct my findings please. Looks like my EGR is open. Is this bad (think so) or should I/need I block the hole (gonna disable my EGR anyway). EDIT: Answered my own question. This is the EGR hole/inlet. When removing the EGR this hole can be left open. Or get a SAAB 9-3 gasket and close it. Last edited by TFD; 01-23-2015 at 10:59 AM. No one with water return pics or something?